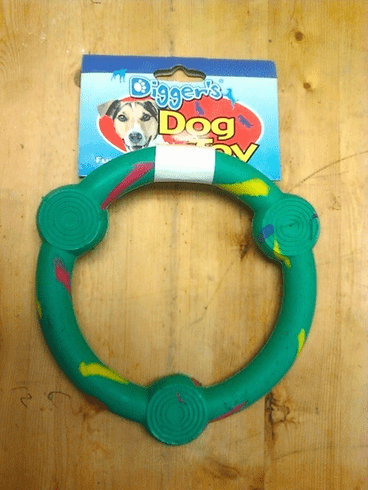 This dog toy is made of a durable rubber that's great for your dog's teeth. Toss and throw this ring out to your dog. They'll be sure to love it. Measures 6" dia. Comes in assorted colors.